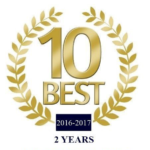 Over the past 20 years, Turner Law Offices, P.C. has handled more family law matters in Nashville and the middle Tennessee area than any other small law firm. Our Nashville divorce attorneys are empathetic and caring, and understand the emotions that are involved in family law matters – especially divorce. Divorce laws are complex, and our Nashville divorce lawyers know the law when it comes to divorce cases. 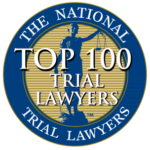 The best Nashville divorce lawyers not only understand the law, but they understand human psychology and the emotions and sadness often associated with divorce matters. An experienced divorce attorney will help you maintain your dignity throughout the divorce process. Choose a divorce lawyer with experience in all aspects of divorce such as alimony, property division, child custody and child support. At Turner Law Offices, P.C., our team of divorce lawyers understand the process from start to finish; we will get you the result you deserve! 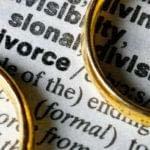 A divorce is a court proceeding wherein a judge dissolves a marriage. 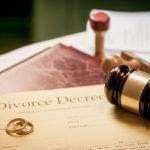 The judge reviews each case, and applies the divorce law to the specific facts of the case. The divorce process is extremely simple and cost effective for uncontested divorce cases; however, in contested and complex divorce cases, the process can be excruciating and very costly. Tennessee divorce law imposes a mandatory waiting period from the date of filing of a divorce until the parties can be legally divorced: 60 days without children and 90 days with children. Want more information on Tennessee Divorce Law? See our Tennessee Divorce Frequently Asked Questions (FAQs) page. Divorce is a very stressful process. Going through a divorce is one of the most difficult things that you will have to do in your life. You deserve a divorce attorney who is intimately familiar with family law matters and who cares about your emotional needs during this trying time. If you are thinking of filing a divorce, or if your spouse has filed or threatened to file a divorce, call us right away so that one of our Nashville divorce lawyers can meet with you right away to begin working on your case and protecting your legal rights. We guarantee a straight-forward approach, answering all your questions in a caring, compassionate manner. Contact us today for your no obligation free initial consultation online. We have flexible payment plans with low down payments. Let our family start helping your family today.